Deputy Speaker Thilanga Sumathipala has been elected as the President of Sri Lanka Cricket (SLC) with 88 votes. Former SLC secretary Nishantha Ranatunga got 56 votes. Earlier, Nishantha Ranatunga, Thilanga Sumathipala and Sumith Perera had submitted nominations to contest for the post of President of SLC. 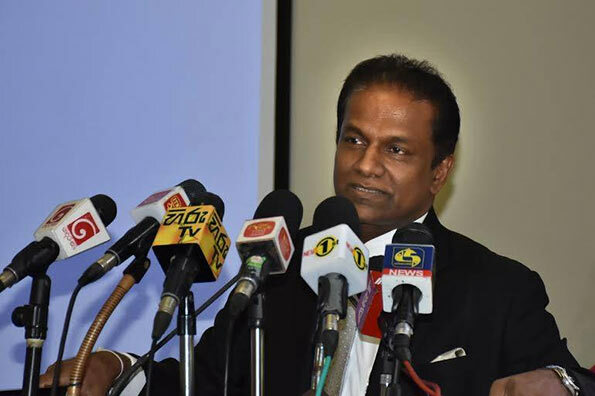 Sumathipala while preceding the chair of the SLBCC was also the managing director of Sumathi Newspapers and confirmed that he was the owner of a bookmaking business producing an affidavit to the British Courts.”I am a bookmaker. That is my job. So I cannot get mathematics wrong,” Sumathipala said in a tape-recorded interview. Dont throw stones at othrers when u are living in a glass house.